Counted as one of the prominent organizations, we are engaged in providing a wide range of superior quality Multi Panel Meters. Owing to our in-depth knowledge in this domain, we are specialized in providing Digital Panel Meter. TRUE RMS measurement with Reliability, Service life & Quality assurance are the attributes of meters in this series. - 3 phase Combined Volts, Amps, Frequency Meter. In order to keep pace with never ending demands of clients, our company offers Digital Panel Mounted Meter. Backed by the profound experience of the market, we are offering technically upgraded Panel Ammeter. Designed in line with the defined parameters of the industry, these offered products are known for accurate measurement and reliability. Moreover, these products are available with us in different specifications suited to the divergent requirements of the clients. - microcontroller based with four digit resolution. - single phase / star / delta wiring type programmable. - dc auxiliary of 20 to 110v available. Banking on the skills of our talented team of professionals, we are involved in presenting a quality range of Digital Panel Meter to clients. 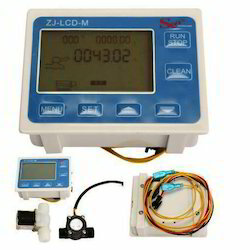 This Digital Panel Meter is used to display the readings or input signal in an electric circuit. Furthermore, these products are of top quality and are highly demanded in the market. Challenger 361, 362, 363 & 364 meters measure AC/DC Voltage or Current and frequency. The design features detachable lower fascia which allows the flexibility of either surface or window mounting. These meters have a rear zero adjuster screw for tamperproof installation. - Ultra Bright Seven Segment LED Displays. 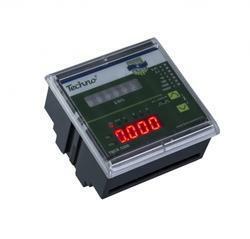 Digital Panel Meters are used to perform digital processing and display of voltage, current, pulse signal and others. They can also compare input values to set values, transfer data and perform other functions. Digital Panel Meters feature a high tech backlight LCD display that gives excellent read-out of values in dual color.